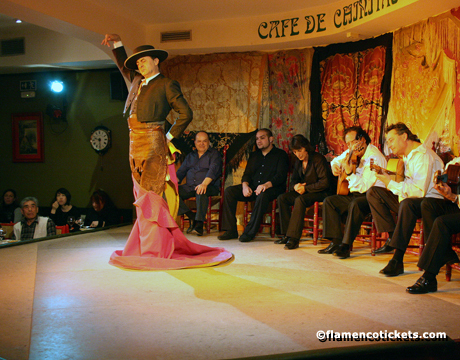 Café de Chinitas is situated in the center of Madrid, occupying the first floor of a restored seventeenth century palace very close to the Spanish senate. 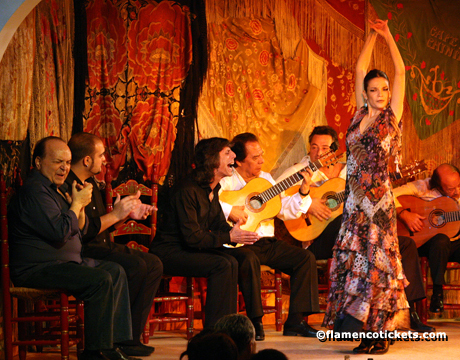 The building was designed by the painter Manuel Mampaso, together with the famous designer Pinto Cohelo and architect Luis Carruncho. 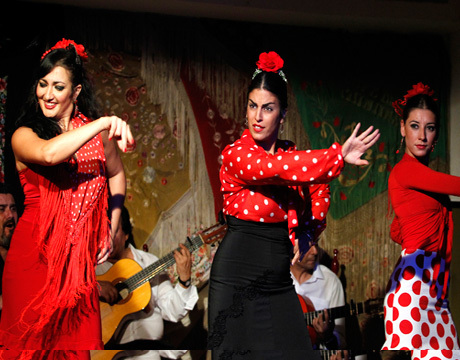 The tablao was founded in 1970 after a casual meeting of two well known restaurateurs and a local journalist. 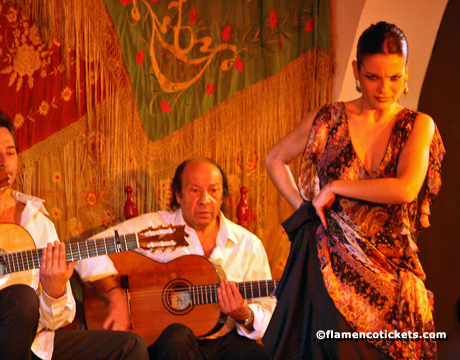 On a summer evening in Madrid they came up with the idea: a venue for flamenco reminiscent of the past century. 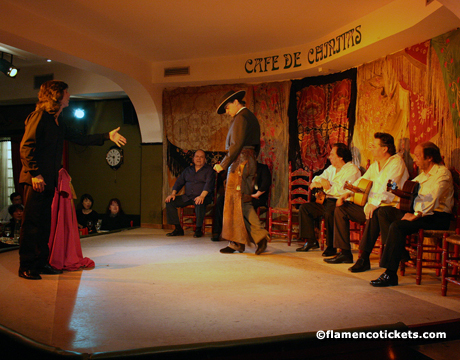 Several months later they joined with the flamenco dancer Micaela Flores Amaya "La Chunga" to open Café de Chinitas, in honor of the famous and similarly named tablao flamenco in Malaga. 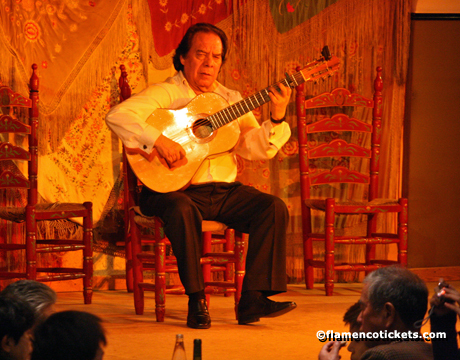 Over the past decades the Spanish royal family, Lady Di and Bill Clinton are just a few of the famous figures to pay a visit to Café de Chinitas. 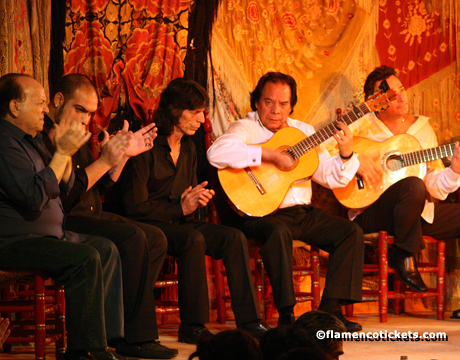 The venue has also welcomed a long list of nationally and internationally known flamenco performers such as Carmen Linares, María Vargas and Rafael Amargo. 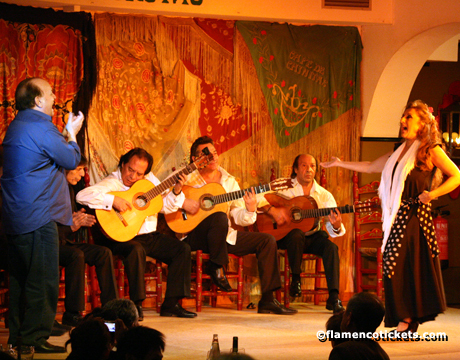 The Café de Chinitas is also well known for being where "La Chunga" performed. 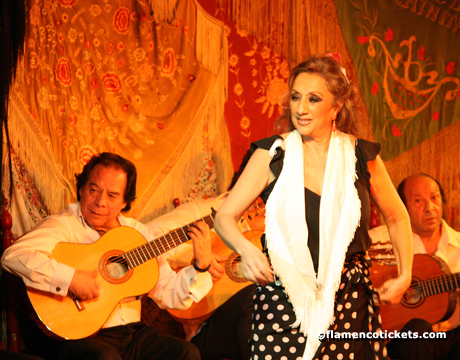 There are two nightly shows which include sixteen different artists: singers, dancers and guitarists. 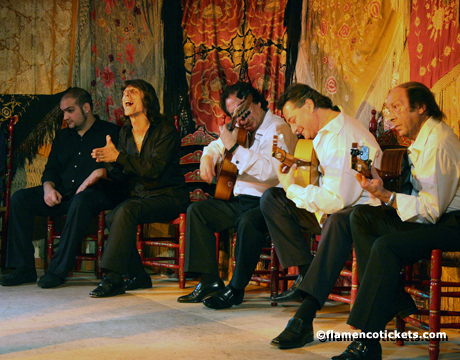 The program is updated on a monthly basis to offer a variety of different performances. 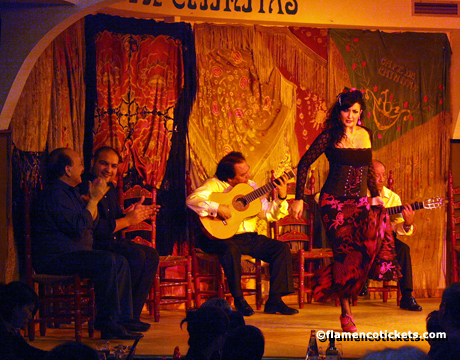 Tickets are available with drinks, tapas or dinner. 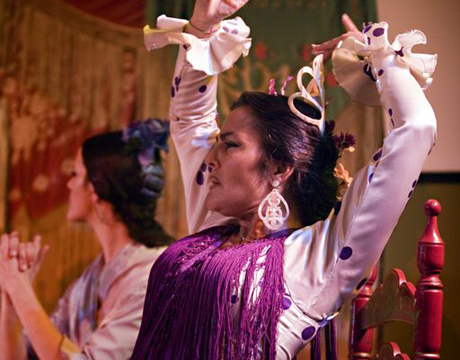 Inside the decoration includes themes of bullfighting and Andalucía: a collection of shawls (mantones de manila) serve as the stage backdrop, while furniture and prints remind us of the typical patios in the south of Spain. The main dining area features a raised level at the back for a good view from all of the tables. 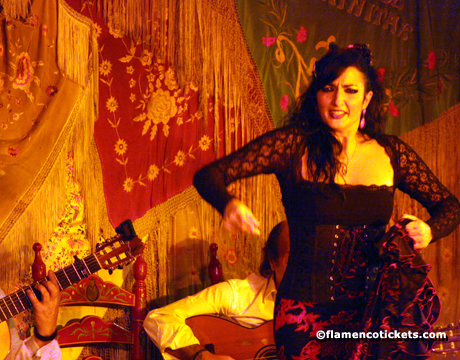 The kitchen serves traditional Spanish dishes with modern touches. 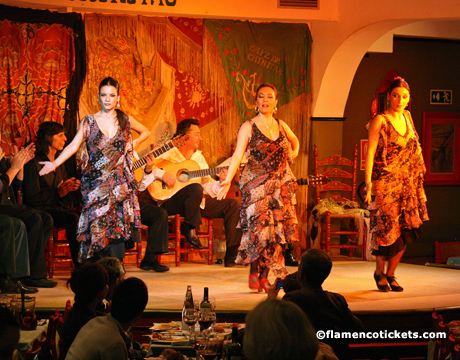 Specialties include the paellas and other rice dishes, but there is a also a selection of fresh fish and quality meats. 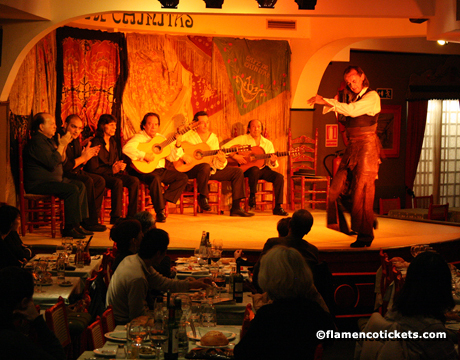 There is also an extensive wine list to go with any choice and the waiters are happy to offer their recommendations.